Need A New Stockyard Shed? We can protect you and your stock from the sun and rain. Can’t afford to let the weather cut down on your productivity? Don’t lose a day! Techspan can provide cost-effective cover for your yards and holding areas. Neither you nor your livestock needs to stay standing in the rain or the hot sun. Our range of heavy duty rural shed and steel covers are surprisingly adaptable. With clear span designs from 6 metres to 60 metres available, we can custom make your shelter to fit over your yard, no matter the configuration. We ensure that our structural steel framed sheds are much stronger than lighter alternatives. We can design a clear span shed to provide you with a fully open workspace, with no poles in the yard. We can provide you with plans, certification and free advice to assist with your council planning application. Whether you want an open stock yard, or one or two walls to keep the weather out, we can help. We can help you find local experienced and accredited tradespeople who can be trusted to do the job right. Proper assembly and erection of your shed are vital to ensure a long and profitable lifespan. Thanks for the professional Job, Well Done! We can help you build an effective cover for your stockyard. When your stock is comfortable and settled they will be easier to work with and will lose less condition when going through the yards. 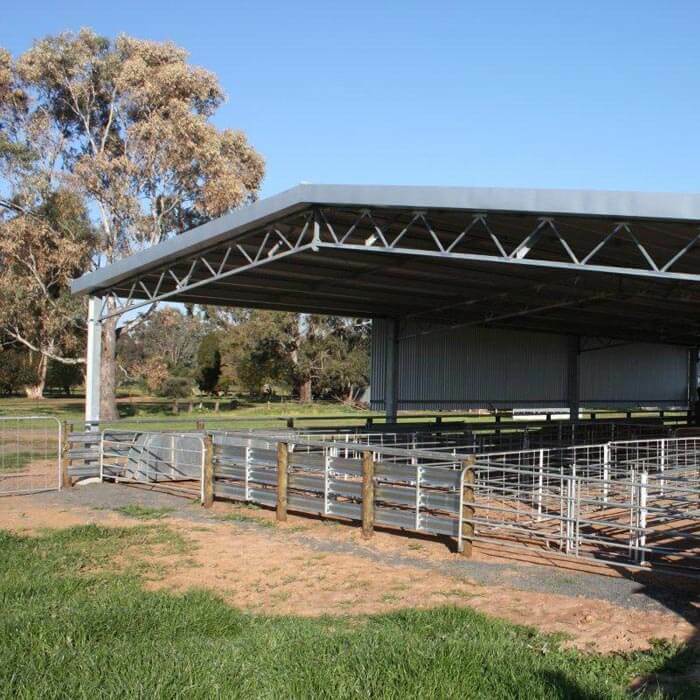 Don’t let wet weather disrupt your shearing program A TechSpan roof cover will keep your stock dry, allowing you to work through. No one enjoys working up to their knees in you-know-what… Keep the ground dry around your yards and everyone will feel better. Perhaps mud is not your problem. A roof cover will reduce worker fatigue when working constantly in the hot summer sun. A decent sized roof cover can provide a lot of valuable rainwater runoff. Catch this in a tank and you can provide water for stock in the yards. Keeping your crush and yards out of the sun and rain will significantly extend their useful lifespan. Less lost time will be spent on repairs as well. 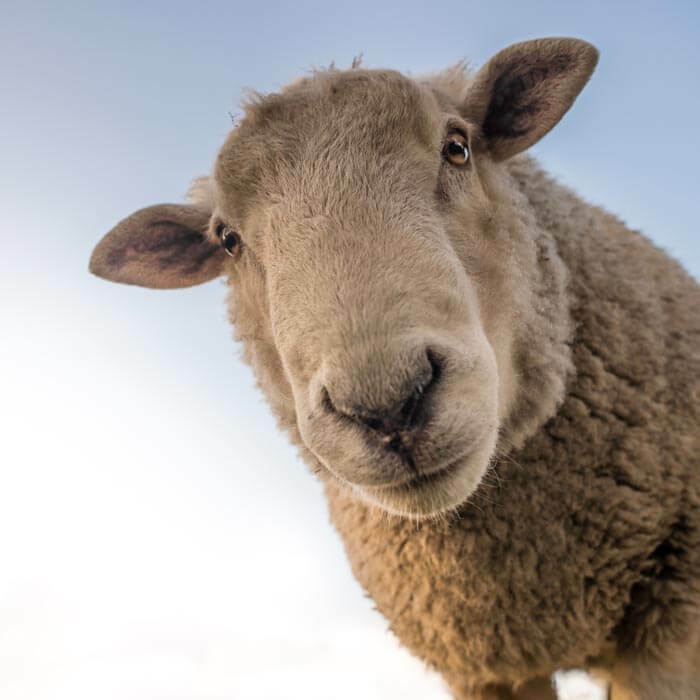 Looking to customise your cattle or sheep yard cover? Our range of additional extras has what you need. Find the solution to your shed needs. Want to see how we helped others? Check out our case studies to see how we provided quality shed solutions for our past customers. Looking for ideas and inspiration? Want to see what your shed could look like when completed? Check out our shed gallery. 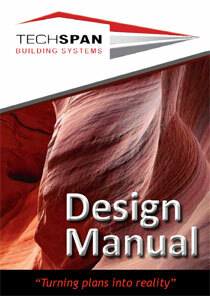 Are you organising the construction of your yard cover? Make sure you don't miss a step with our detailed shed construction guide.